This is it. The final episode of Dog Duty. The story ends tonight! The grand finale. The main event. We’re at The Docks. Everyone is here. Nipper, Ernie, Scamper, Saucy, Scarlet, The Perp, Clay, and Fritz. And heck, there might be some surprises coming too! Scores will be settled, and not everyone is walking away from this. Missed an episode? Seriously, that's no problem. 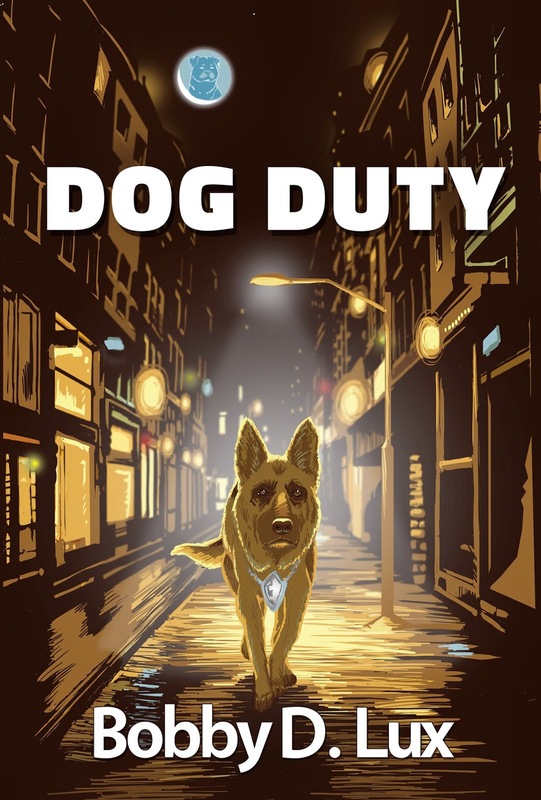 Every past episode of Dog Duty is available on iTunes. While you're there, leave a review or a rating, if you'd be so kind. This may be the end of Dog Duty, but it's not the end of my podcasting. I'll be releasing other works of mine: short stories, humor pieces, upcoming novels, etc. on this page in the months to come, so stick around. Thank you to all who have listened to Dog Duty. It means a lot to me. I hope you enjoyed the story. Cheers. Chapter Twenty Four. The 34th Annual Grand City Dog Show. The penultimate episode!!! Fritz and the gang find themselves at the Grand City Dog Show on a last-minute recruiting mission. While there, several familiar faces appear and all hell breaks loose! Chapter 22 and 23. Life is a Jung Man's Game and The Lady in the Backyard.